Yesterday marked the official release date of Alex J. Cavanaugh's novel, CassaFire. I'm sorry I missed posting yesterday, but it was a day that I felt very needed . . . by my kids, by friends, and by my parents . . .my phone rang constantly, homeschool lesson seemed tough, and I was extremely thankful for the time I had to write last night so I focused on my own novel. Catch Fire! is awesome celebration that includes blog hopping for Alex, prizes, and awesome bloggers giving Alex the credit he deserves. 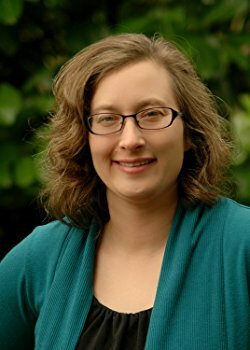 Alex is an encouraging blog buddy for many, and a writer who's work focuses on relationships in the midst of adventure. Both of his books, CassaStar and CassaFire, show us what brotherly love really looks like in action. Hosted by The Golden Eagle for her two year blogaversary, this blogfest gave me the impetus I needed to spend some time with my villainess from The Crystal Sword. Sihrqayya surveyed the map of Aratir with cold calculation. Flags, stained with the blood of her enemies, were pinned to every country where she ruled through her followers. On the continent of Nornen, a lone brown flag flew alongside the flag of Septily. That brown flag represented the traitor. Sihrqayya let out a hiss as the multifaceted crystal on her neck chain glowed red on one side. She tapped the crystal with her magic, and a beam of light shot out of it and coalesced into an image of King Alexandros cowering in his chambers. “You have finished your work?” she asked. “Don’t lie to me,” she snarled. “Attack the Triune Halls at once, or I shall punish you severely.” She touched a spot on her wrist, and Alexandros writhed in pain. “Yes, dark mistress,” he gasped. With another tap of power, Sihrqayya closed the speaking spell, and rang a bell in her war room. Charlissa, her trusted servant, came at once. The last few days I've had that stuffy head, sore throat, coughy, dizzy feeling which has been awful. My house is a mess. However, I allowed myself some reading time yesterday . . . actually several hours worth of reading time, in between sleeping on the couch moments. I still have a pile of books I want to read, but I had a bunch of uninterrupted reading time yesterday. Here are my reviews for some of those books, plus one movie. Rising Book 1: Resistance by Larua JosephsenLaura Josephsen made my day yesterday. I stumbled across a recommendation for this at Alex. J. Cavanaugh's blog, and out of idle curiosity and interest I went to take a look at the sample chapters at amazon.com. Hooked from the beginning, I decided to splurge and buy it for my Kindle. I finished it last night. I loved this book, and I'm looking forward to the next in the series. The main character, Alphonse, is a scholar on vacation when he is thrown into intrigue and chased by enemies of his country disguised as soldiers. I'm afraid to say more, because I would probably ruin the plotline. I highly suggest checking out those sample chapters at amazon.com. Cassafire by Alex J. Cavanaugh is out! I thought I had to wait until the 28th, but I found it yesterday and purchased the Kindle edition. I'm only 40% into this book, and since I am back to health I don't have a good excuse for sitting and reading all day . . .but I am hooked by Alex's imagination, and the relationships of his characters. Byron may attempt to be aloof and alone, but he is drawn into relationship with a challenging female pilot and a very young linguist who needs his brotherly friendship. Alex's joy-filled descriptions of flight are awesome. Since the Catch Fire celebration of CassaFire is coming on the 28th, I suggest being prepared by getting this book today. I know I sound like a bad advertisement on TV, but seriously, it's a good book and Alex is one of the nicest bloggers I know. Here's the link to Cassafire at amazon.com. Matched by Ally Condie is a dystopian romance adventure that my oldest daughter picked up at the library on Tuesday. Romance is usually not the main genre in our household - everyone prefers adventure, scifi and fantasy, but this book caught her eye and now there are three of us reading it at the same time . . .well, there are three bookmarks in it anyway. I haven't had my hands on this book since Tuesday (when we picked it up) and we are all vying for turns with it. Well-written and intense, the part that truly drives the story forward is Cassia, the intelligent, determined protaganist in love with words and saddened by her Grandfather's death. In movies . . . well, I actually went to see Journey 2 The Mysterious Island with my family. And we liked it . . . because we were prepared for a departure from reality, for some fun, and for some laughter. I still noticed that the helicopter scenes lacked realism (my dad used to have a pilot's license and trained me to look for details in movies) and the part with the flying bees made my husband groan a little (how did they "pilot" the bees exactly?) but we still enjoyed this romp through Verne book on film, Hollywood style. My daughters mainly noticed that the directors didn't do much to segue from this movie from the first one . . .we would have liked a line or two about his uncle, or something to tie into the first movie. What happened to all those diamonds? Why is his stepdad footing the bill? Anyway, apart from that it was a fun ride 2 The Mysterious Island. BTW, the best actor in this movie is . . .Josh Hutcherson, just like in the first one even with Michael Caine and Dwayne Johnson making quips at each other. One reason my family is looking forward to The Hunger Games movie is that we know at least the actor playing Peeta can act well, so we are hopeful that the movie will be good. So, I know I'm off schedule this week - posting on M, T, and Th instead of M,W,F. I'm not sure what my schedule looks like tomorrow - I may be skiing and going to see Brandon Heath in concert at a local church, or I might be driving to Portland to visit our neice and the biggest bookstore in the world (not that I need any more reading material). Next week: Evil Genius, and Catch Fire!!! This video is of my daughters' most recent tap performance. It isn't the hardest routine they've done, but the counter rythm part was challenging . . . so when they get to the part where they are not doing the same steps at the same time, it's on purpose. It's kind of like learning the rules of writing, and then breaking them for an affect. So, do you ever go counter rhythm in your writing just to see what happens? Last week rocked with blogfests, and I missed this one . . .but here it is, the fourth memory verse for the A to Z Memory Verse Challenge. I'm super thankful today for my awesome husband, thoughtful daughters, wonderful parents, sweet friends, great family, and faithful church. I'm praying for all of them, especially my cousin Laura who is recovering from Guillan-barre disease, for my friend Traci, and for our friends whose daughter is still recovering from the surgery she had last fall. Hope all of you are having an awesome day today! Do you have any prayers of thanksgiving and hope? We drive home, heater on, under starry night. We had a great day today, and brought a friend with us. Unfortunately we were having so much fun that I decided to be a little careless going down a much used and familiar side trail this morning and I tripped on an exposed tree root/branch sticking out of the snow. Tripping on skis isn't fun, so I landed ribs first, then face . . . and twisted my knee a little. Of course, after catching my breath, I got up and skied on until by 6p.m. I knew that I probably should call it a day and then call my chiropractor. So, do you look or leap first? Worldview intertwines itself in our writing because it is a part of us. Even if we try to keep our beliefs out of our writing, they show up in the development of our stories because our stories come from the wellspring of imagination within us. The core of our imagination is closely linked with the way we see the world and how we believe everything works. This goes for Christians, Buddhists, Atheists, and all worldviews. A worldview shapes what we see, how we act, and the way we write. However, I often wonder in my own writing just how much I should share overtly? How much is enough? and how much is over the top? "A human being in perfection ought always to preserve a calm and peaceful mind and never allow passion or a transitory desire to disturb his tranquility. I do not think that the pursuit of knowledge is an exception to this rule." Yes, this is written in a character's voice, but it also stems from the worldview of the author. So, what do you think, is it a good idea to overtly include our worldview in our writing? How much is enough? How much is too much? And, have you ever read Frankenstein? This is my third time reading it, and the first time in a decade, but I still find it intriguing. Whew! Third blogfest of the month! I feel like I haven't been to see enough of the other awesome entries from I'm Hearing Voices and Origins yet, but I plan to keep visiting blogs for the rest of the week . . . in the hopes of halfway catching up. Thank you Cassie Mae and Hope, for today's Valentine's Day Blog Hop! The crow’s nest was too cramped for anything but companionable closeness. Clara felt Adrian’s hand on her shoulder, and she fought the impulse to lean into it. She gripped the rail as if her life depended on it. “Are you scared of heights?” he asked, too close to her ear. “You think I’m wonderful, and amazing?” he said, smiling broadly. “Oh, like seeing that griffin pair on the horizon,” he said, pointing behind her. “Where?” she said, trying to twist around to see, but he held her close to him. “Just trust me,” he said, and he kissed her gently, his lips warm like cinnamon. So, small town, field next door on one side, retirees on the other side, bully boys in the street behind me, Grandparents across the street with fields and blackberry bushes behind them, plus an acre of climbable trees, open grass, and a nice little niche of three old poplar trees that made a kind of fort. My mom and dad practiced organic gardening, so our yard looked like an overgrown Eden. My best friend (although I didn't tell my school best friends this) was my German Shepherd/Black Lab dog named Charlie Brown. (He slept on a Snoopy blanket). My parents, and my grandmother loved to tell stories, read books, and make music. My dad had an ercoupe (a small plane), and I started flying with him at two months old. My first favorite books had to do with lost puppies finding homes, fairy tales, the Children's Bible, and classic Disney stories. My first favorite movies were Peter Pan and Star Wars, although I watched many classics like Top Hat, Singin' In the Rain, and Oklahoma. So, what does all this personal past history have to do with becoming a writer? Only child, storytelling parents and grandparents, dog as best friend, big yard and area to run wild in = storytelling on the run with tree-climbing, fort building, singing, dancing, swinging on a tire swing until I felt like I was almost flying, swordfights against invisible opponents (with sword-sticks), and a few gymnastic feats thrown in like one handed cartwheels and handsprings. My imagination was a landscape that was almost as real as the green grass, tall trees, and my furry brother. As a writer, I want to recapture that feeling when I write. My mom couldn't give me time outs as a punishment because although I hated sitting still, I relished the time I could spend daydreaming without interruption. "Five minutes on the couch, doing nothing? Sure, can we make it 10? I'm not done with my story yet." My stories that I write today are still rooted in all of that. I love sword fights scenes, gymnastic feats, action adventure, quests, flying, and the hero or group of heroes that fights injustice. I'm still daydreaming some of those old daydreams. I just attempt to put them on paper now, and that challenging, determined attempt to share my imagination with others is what makes me a writer. Rules for Day #3 I'm Hearing Voices Blogfest: Emotion Flash Fiction: Emotion is the engine of a story. Pick an emotion and in a flash fiction piece of 250 words MAKE us feel it! We want to connect with your character. This will be a challenge in 250 words. Clara felt her heart beating hard in her chest, and heard her breath gasping in her helmet. The shouts above them were loud, and there were cries of pain mixed with the crashing sounds of steel. Two steps below the entryway, Stelia paused, and gave her the hand signal for “close,” which meant stay close to her. Clara tried to say something in response, but her throat wouldn't let any sound out. It was dry. She was drenched in sweat. She unsheathed her sword and followed Stelia into the hall. Nearly deafened by the sound, Clara just stood there for a moment, shocked at the blood and the fighting. Red Drinaii were slaughtering everyone in their path. 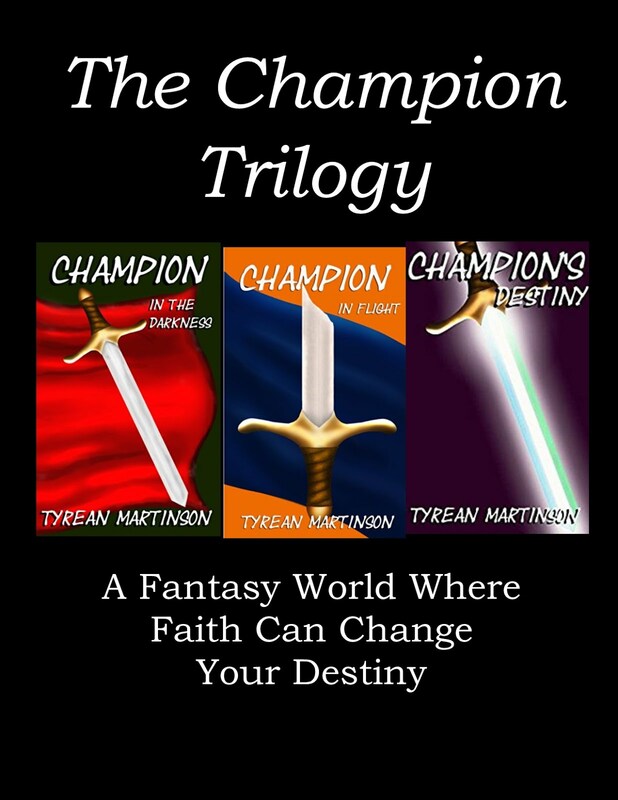 Sword Masters, Guards and Apprentices fought a losing battle, outnumbered on three sides. Stelia punched Clara in the arm to get her attention. She pointed to the right, where a group of Shepherd students crouched behind a desk, protected by a single apprentice in gray leathers. Clara didn’t recognize him, but she knew he needed help. She pulled her sword out and began fighting her way to him. It wasn’t like any practice bout. She didn’t take the time to size up her opponents. She just hacked, slashed, and kicked her way through them. 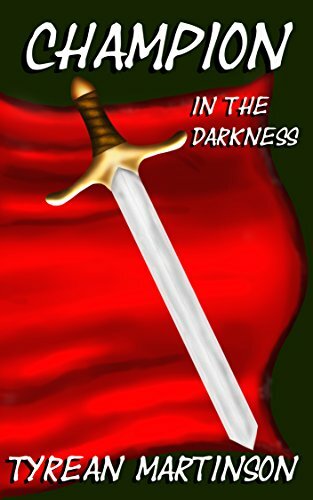 The first man she killed spit up blood as he slid down her sword onto the floor. Stelia put her boot on him, and helped Clara wrench the blade free. Clara felt sick. Author note: I'm on the run this morning and just cut and pasted this piece . . . I'll be checking out all the other awesome entries tomorrow. Have a great day everyone!!! Rules for the Day: Dialogue Introduction: Have two characters introduce each other using only dialogue—no backstory, no internalization, just dialogue between the two. Max 250 words. I’m Hearing Voices Blogfest Entry #1 Monday’s Entry: Character on the Couch: Have one of your characters answer the following questions (to make this work to your benefit, choose a character who is the hardest for you to write.) Max 250 words (Not including the questions – only the answers). On the Couch: Clara, my MC from The Crystal Sword. For some reason, I’ve been struggling with her in the third draft, and I just want to finish. It’s been like getting drilled at the dentist for what feels like an eternity – I know because I just had that happen just last week. (Must floss). 1. What is your biggest vulnerability? Do others know this or is it a secret? Clara: That’s the issue right there. I have huge doubts about whether I can wield the crystal sword, even though I know I’m an awesome swordswoman. I found out that I really don’t like killing people, even when I’m defending my people from the Red Drinaii and Sihrqayya. Yet at the same time, when I was at my worst, most painful doubting moment, I received the crystal sword. It doesn’t make sense. Why would I be given such an honor, when I clearly don’t deserve it? And yes, everyone knows. Well, not everyone, but my closest friends and family know. My mentor, Master Dantor, thinks that the Maker gives us the swords we need to fill our weaknesses. But that still doesn’t make sense. If I have doubt when I’m wielding it, the sword might crack. I’ve seen it happen to other crystal swordsmen. If they lose faith, then they lose their sword. I’m expected to battle Sihrqayya and her Red Drinaii, or at least King Alexandros whose become a traitor to our people, and my sword will crack under the pressure if I don’t find a way to get rid of my doubt. Clara: Other than my closest friends and mentors, and the student apprentices who escaped with me through the underground tunnels when our city was attacked, people believe that I’m a hero, a champion of light, truth, and faith. Those moments when I’ve been heroic I just surrender myself to the Maker, and I don’t feel like that’s anything that comes from me. 3. What would your best friend say is your fatal flaw? Why? Clara: Salene would probably say I spend too much time alone, especially since my parents disappeared on a mission for the Triune Halls. She’s a wonderful friend, and I know out of everyone she probably understands best since her brother was killed five years ago by Sihrqayya’s agents. Her family is stuck in Skycliff, and they are probably prisoners of the King, or worse. She has to be hurting as much as I am, but it’s hard to start that conversation. 4. What would the same friend say is your one redeeming quality? Why? Clara: She would say that I care deeply about my friends, family, and our people, the Septilians. Why? Well, once I was a sword apprentice because I wanted it. Now, I’m a swordswoman because my family, friends, and country need me to be one. She might have said once that I had a clear faith, but now . . . well, that's up for debate. 5. What do you want most? What will you do to get it? Clara: Freedom for my friends, family, and people, freedom from evil and oppression, freedom to live and live with joy. When we're free, well, I might like to find someone like Salene has found Prince William, but for now I have too much to do. When those I love have that freedom, then I will be free. To get it, I will fight even when I feel doubts. I will push myself to keep going, and I will do everything I can to defeat King Alexandros, the Red Drinaii, and Sihrqayya. In the midst of my interview with my character, I found the flaw in my story that I had been struggling with . . . and now I can fix it!!! Thank you Cassie Mae and Angie! She Sparkles:A to Z Memorization Challenge This verse from She Sparkles is a week late . . . sound like a familiar refrain on my blog? In many ways last week blurred by me at high speed, and in the midst of thinking about story details I forgot life details, blog details, and just details in general. Thankfully, Jesus is my salvation, and God creates in me a new, pure heart, renewing a steadfast spirit with me. And I have some wonderful, forgiving, blogging buddies. I hope to be back in the swing of blogging next week, and back on my feet and running at high speed through life as well. BTW - Blogfests are Beautiful, and I'll be involved in three in the next 10 days. Check out the sidebar on the right. 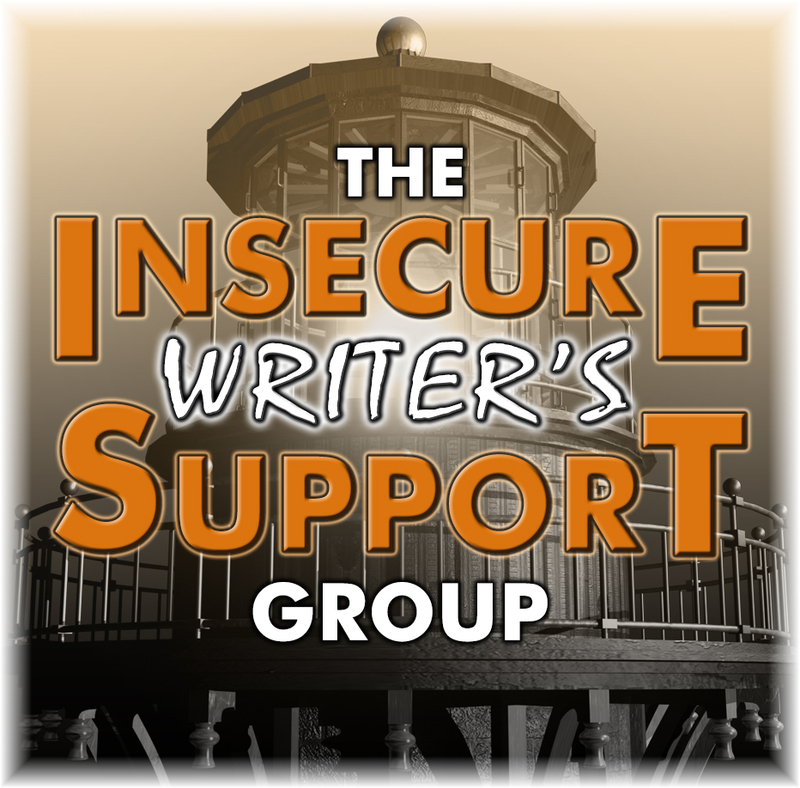 Insecure Writer's Support Group - OOPS! Uh oh, just realized I missed the fantastic, amazing, awesome insecure writer's support group day yesterday . . . I feel like my whole life is off by three days. I've been writing about how details are important to stories, but have forgotten the details that are important to life. Please forgive me, and I'll post something cool for next month . . . or at least I'll post something, cool or not. For now, all I can say is . . .thank you for being my blogging buddies and being awesome, even when I slip up. First off, I want to apologize to all of you for not keeping my regular post schedule this week. In the last week I was sick for three days, celebrated my oldest daughter's birthday twice, (once with family, once with friends), took part in a open house for homeschool co-op, spent some extra hours (yes, hours) in a dentist chair and have sworn off diet soda (partial reason for the dentist chair). The result: I've been exhausted, and completely behind. Now, on with the post that I meant to post on Monday. In my last post, I discussed integral details to storylines, like knowing why a character reacts in a certain way to certain stimuli. Remember my writing friend’s story about the character who broke up with the guy who jingled his keys . . .her father jingled his keys every night when he came home. One night, there was no jingle. He never came home that night. So for that character, the jingle of keys brought deep sorrow. Details can be the keys to plot-lines, or a grouping of notes that when played will make beautiful music, or jarring, spine-tingling music . . . whichever direction the story is heading. But what about details that seem inconsequential, like setting and world building details that don’t seem integral to the plot-line? Why do these matter? You can throw your reader out of your otherwise well-crafted story with a detail that's out of place. This new American Girl has a school outfit that includes an umbrella and rainboots. It’s cute. It’s not Seattle. If you lived near Seattle, you would know that while the weatherman may say it will be sunny, it still might rain. It could rain any day of the week. It could rain with wind gusts that will rip an umbrella out of your hands or bend it backwards. It could drizzle, then gush, then mist, then drizzle again for four days straight. Once wet, umbrellas stay wet. They don’t store anywhere well when they are wet. It might be a week until they dry. Mold can be a problem here. We have rain in every season. Umbrellas are clunky, stay wet, and are just annoying to carry everywhere every day. We use them for special events like outdoor sporting events. Most of us aren’t sure why Seattle “had to have” a new retractable partial roof for the new sports arenas – a fad from California? We might bring an umbrella to something like that where we are just going to sit for hours. Otherwise, we just shrug and go about our day. It will rain again later, or it might just be cloud covered all day, or it might be sunny for a few hours. Who knows? The weatherman usually doesn’t. Rain boots are for special events too. We wear them specifically for stomping in puddles, or when we own farm animals and have to walk out to feed them. Otherwise, we just get wet. Sometimes outdoor games are “rained out” but that’s usually because we are trying to save the soccer fields or baseball fields from becoming big mud pits, so actually outdoor games can be “mudded out” but usually not just “rained out.” As a kid I played soccer, and I only remember a handful of sunny day games. I came home caked in mud regularly from practice. Shoes are often parked in houses next to heating vents so they can dry out. Leaving them on the porch invites mold and slugs to make a home in them. So, why does all this silly reaction to the details of an American Girl doll matter? Because I've had the same reaction when reading novels based in Washington when those novels are written by someone from outside the state. In fact, I rarely read fiction that's based here if the author doesn't live here because I know some small detail is simply going to bug me. Readers have a tough time shrugging away details that are misplaced. So, please, if you base your WIP in the Seattle area, make sure your MC only uses an umbrella and rain boots for special events, not for school days or work days. Seattle area Washingtonians wear layers and carry hooded jackets in their cars. Short hair and ponytails are popular ways to keep the frizz at bay. I tell my kids "hoods up" when we go outside in the rain. It's also popular to say, "oh, you're not going to melt" when someone whines about getting wet (that's just not in my household). However, if you base your WIP on “the other side of the mountains” in Eastern Washington (divided by the Cascade Mountain Range), all this is useless advice. Eastern Washingtonians are used to being dry, and they call us Western Washingtonians “coasties”. Eastern Washington grows apples and potatoes, Western Washington has Evergreen trees and coffee stands. Stories are strengthened by the accuracy of their details, and plotlines can hinge on knowing the details of your character. What are the details about your state, town, or country that might surprise a “newbie”, “tourist” or fiction writer?